American Airlines and Los Angeles World Airports (LAWA) have officially broken ground on an ambitious 10-year, $1.6 billion modernization project at Los Angeles International Airport. The overhaul of Terminals 4 and 5 marks the single largest airport investment in the airline's storied history. American Airlines Chairman and CEO Doug Parker were joined by Los Angeles Mayor Eric Garcetti, Los Angeles Councilmember Joe Buscaino, LAWA Commissioner Sean Burton, CEO Deborah Flint, Senior Vice President of Los Angeles Suzanne Boda and frontline team members at LAX during Wednesday's groundbreaking ceremony. The start of construction comes nearly 18 months after American signed a letter of intent with LAWA to invest in LAX. "Los Angeles stands at a global crossroads—a place where the world comes to meet, innovate and create," said Garcetti in a statement. "American’s commitment to the reinvention of Terminals 4 and 5 will create good, middle-class jobs and better connect Los Angeles to the world." Los Angeles drew a record 48.5 million visitors last year, generating another record $22.7 billion for the city’s economy. Once complete, the entranceway of Terminals 4 and 5 will be combined via a 300,000-square-foot, 28-gate complex allowing for easier movement between terminals. 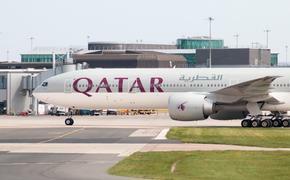 Travelers can also look forward to reconfigured ticket counters and check-in areas and 16 lanes for security screening with automated technology. Other highlights will include modern signage, less roadway congestion due to access from public transportation via the new APM train system as well as enhanced gate areas offering additional seating and convenient access to modern amenities such as larger bathrooms, power outlets, dining, and retail outlets. Meanwhile, American's 7,300-plus employees at LAX will benefit from renovated break rooms, multi-use small and large meeting rooms and modern team gathering spaces throughout the terminals. 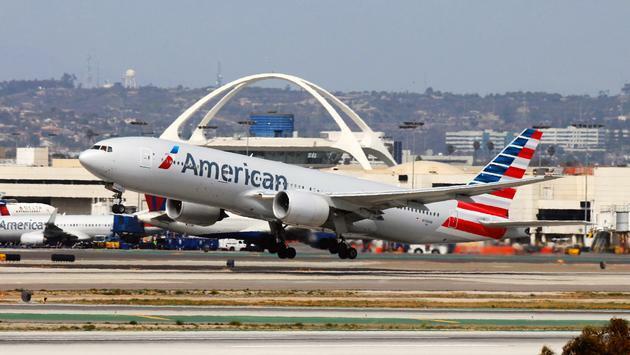 "The improvements included in the lease agreement between Los Angeles World Airports and American Airlines are ones that go to the heart of the guest experience," added Flint. "Working together with our airline partners as we reimagine our airport, we will transform LAX into the gold-standard airport that this city deserves." "Our $1.6 billion investment will not only transform the customer experience at LAX, but it will also give our team members a better place to work every day," said Boda in a statement. "It’s an exciting time for American Airlines. We’re investing back into our business and the communities we serve. That’s exactly what we’re doing here in Los Angeles, and thanks to our strong partnership with LAWA, the airport experience at LAX will soon set an example for the world." Earlier this year, Delta Air Lines previewed its $1.86 billion Delta Sky Way at LAX project.